← BAZOOKA Available Online NOW! 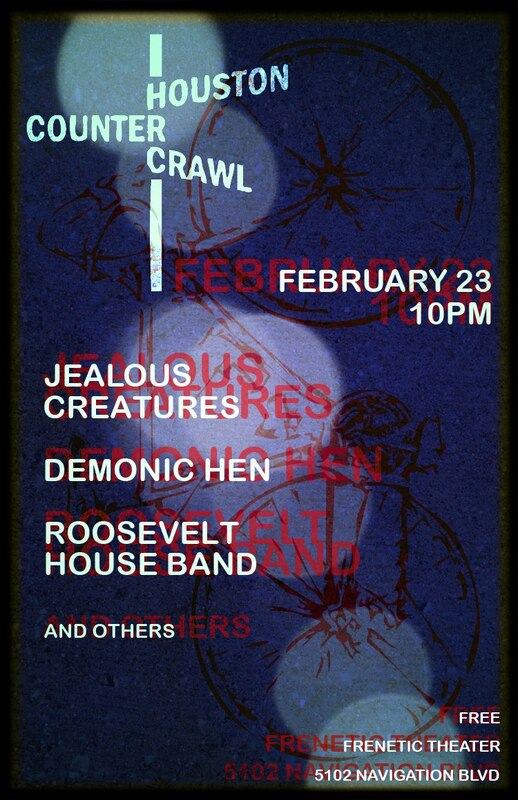 This entry was posted in Shows and tagged Counter Crawl Houston, Demonic Hen, Frenetic Theater, FrenetiCore, Sarah makes a flyer. Bookmark the permalink. I’M jealous! Jealous of the sound of Bazooka! Wonderful CD. It’s been on repeat in the truck since I got it at the release party.